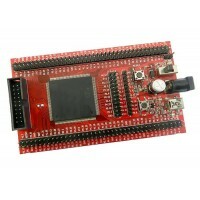 This Breakout Board can be a perfect solution for large data storage. 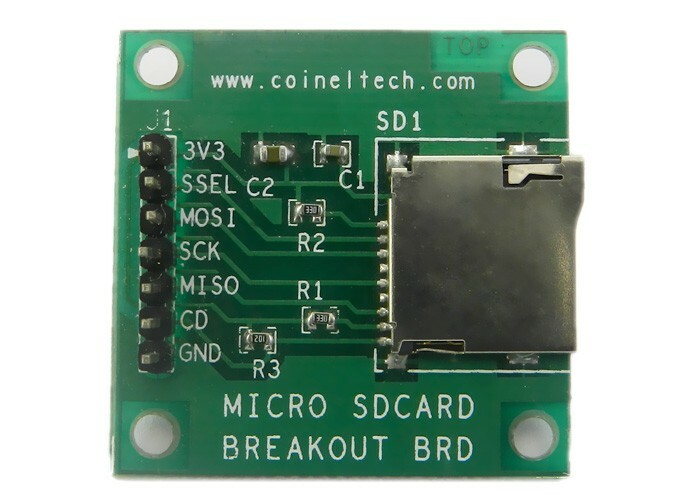 The board has been successfully tested with major Microcontroller Breakout Boards available from CoiNel Technology Solutions. The socket output contacts are connected to a single row, 0.1" spaced, male header. 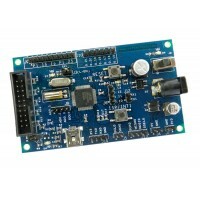 Using wires, the board can be directly connected to microcontroller board. 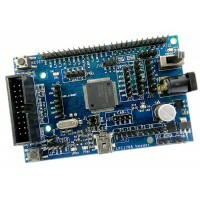 Note that SD/MCC cards operate at 3.3V DC. 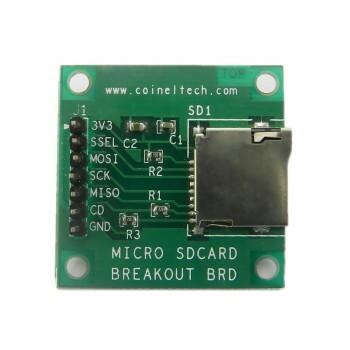 Therefore you should interface this breakout board at 3.3V DC. Higher voltages may damage your SD/MCC card.